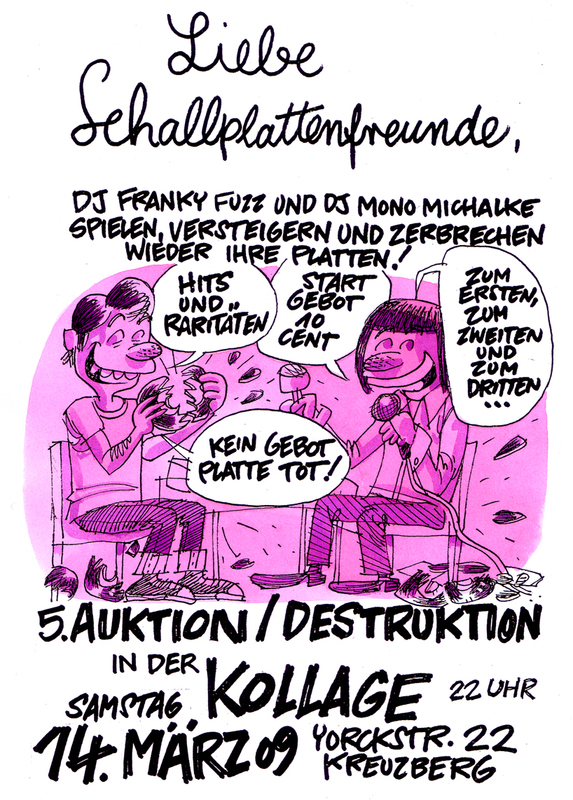 Once again DJ Auktion and DJ Destruktion will be spinning, auctioning and destroying records in our 5th AUKTION/DESTRUKTION happening. We play everything from hits to rare to real garbage. Starting bids are 10 cents and if nobody buys a record we break it right after playing. 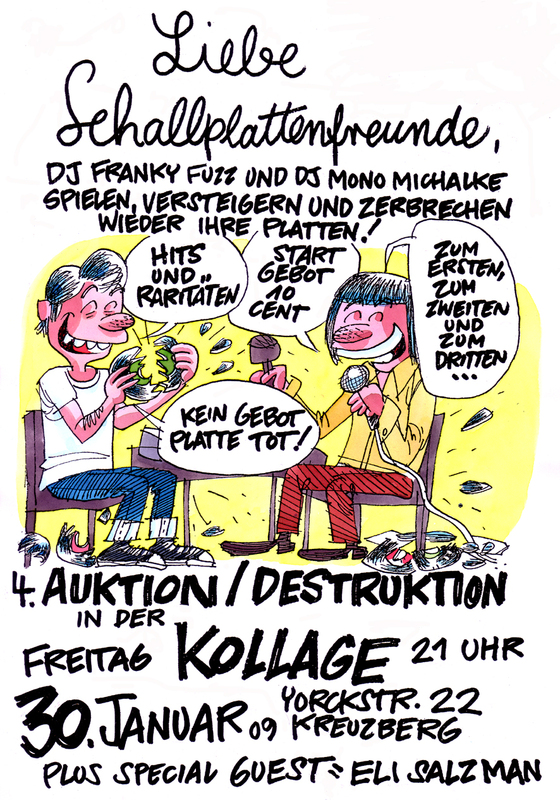 It`s your chance to get your hands on some cheap records and to see some real bad music destroyed.